Girl, we are crushin' on this skirt. 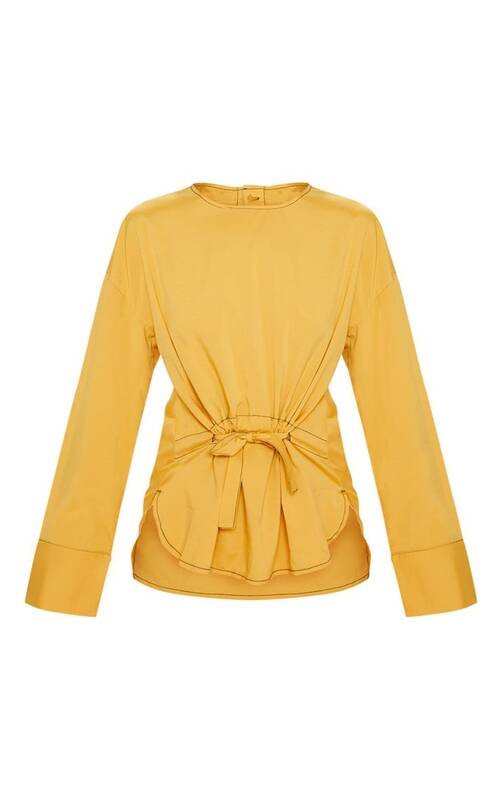 Featuring a mustard woven material with a cinching gathered tie waist, a black contrast stitch and long sleeves. 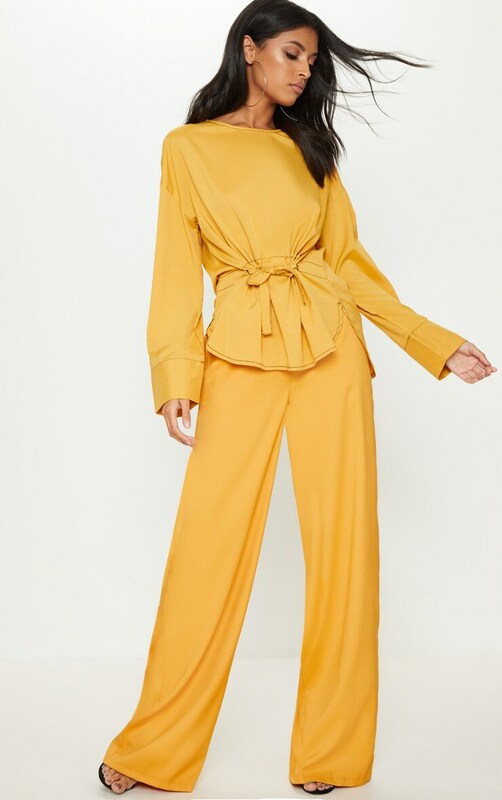 Style this with wide-leg trousers and strappy heels for an ultimate occasion worthy look.